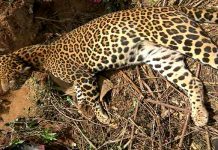 Siliguri: A sub-adult leopard died on being hit by a speeding car at Rohini in Mirik sub-division in Darjeeling Hills. 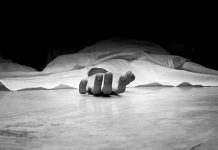 The SUV was driving from Siliguri to Kurseong on Tuesday 5 February afternoon when the mishap occurred. 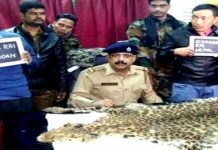 The two-year-old leopard was crossing over the forested mountainous road at Rohini that the speeding SUV hit the animal. Rohini is adjacent to the Mahananda Wildlife Sanctuary. Although the leopard’s body was almost intact after being hit by the SUV, it died on the spot due to internal injuries. 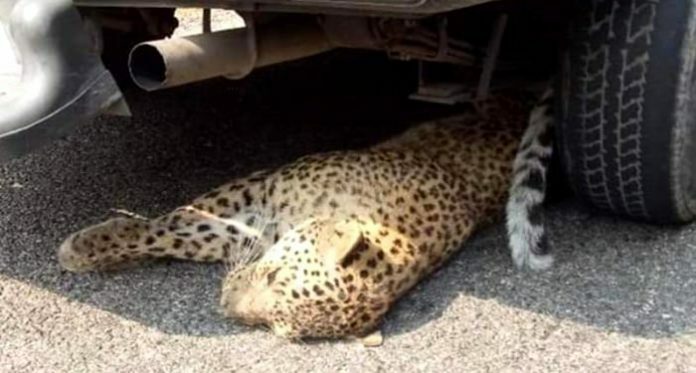 Local people and those from passing by vehicles got down and took out the carcass of the leopard from under the read right wheels of the SUV. They alerted the police, which, in turn, alerted the forest officials. S K Berwal, the divisional forest office of Kurseong forest division, said that the killer SUV has been confiscated and action will be taken according to legal provisions. The carcass of the dead leopard has been sent to Bengal Safari Park near Siliguri for a routine post-mortem. It will then be cremated deep inside the forest.